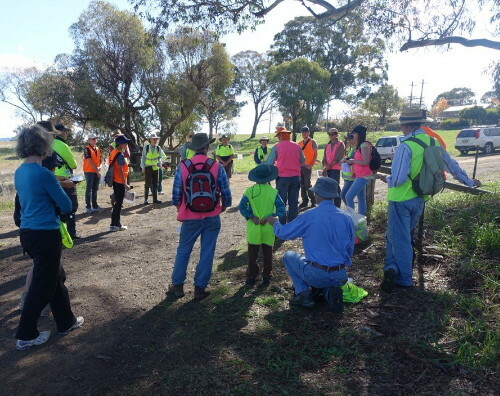 On Sunday 3rd May 2015, fotpin members and friends, guided by Don Fletcher from the ACT Conservation, Planning and Research Unit, conducted the fifth annual kangaroo survey of The Pinnacle Nature Reserve and adjacent lands. 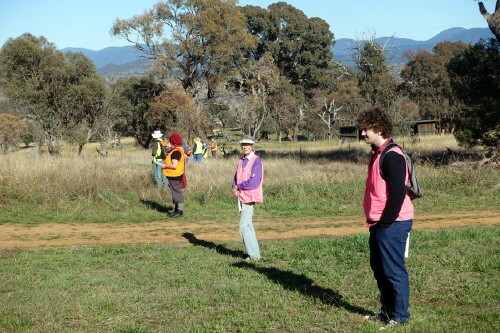 Initially carried out in 2011 to satisfy fotpin's curiosity about kangaroo numbers because we suspected the Reserve was being over-grazed, the count, like many others conducted across ACT reserves, now feeds directly into the ACT Kangaroo management plan [ 6.5 MB]. It was a lovely warm, sunny day (in contrast to 2014), making it a pleasure to be on the Reserve and contributing to its management. Many thanks to everyone who participated and their supporting families for making the survey a success. The survey employed the sweep count methodology used since 2011 (see Pinnacle sweep count 2011 for details). 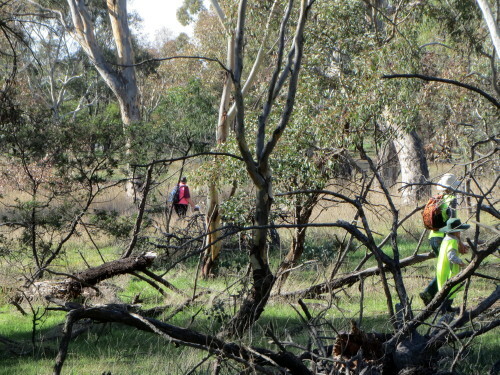 Two counts were carried out, commencing at 9-00 am and 1-30 pm, each preceded by a detailed briefing from Don Fletcher. 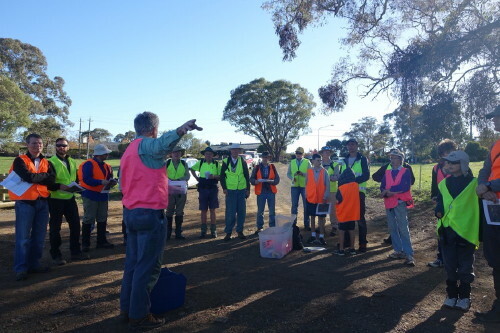 Over the day more than 40 adults and children joined the count, ensuring plenty of help to form a line between Springvale and William Hovell Drives, over a distance of up to 1.7km. 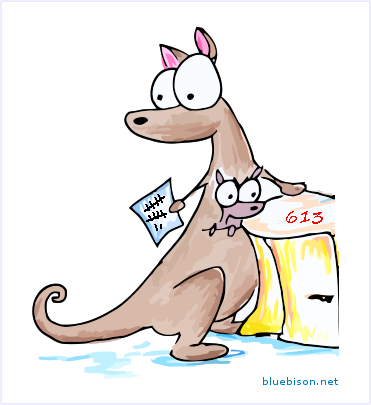 In the morning sweep we counted 637 kangaroos, and in the afternoon 589; the difference between the two (8%) is larger than fotpin's previous counts, but still within the 10% limit required for the count to be considered sufficiently reliable. An average of these figures was used as the final estimate, giving us a value of 613. 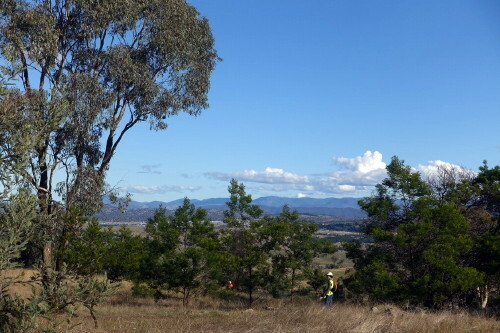 This equates to a population density of 1.7 kangaroos per hectare across the area of the count (367 ha), which is greater than the "conservation density" that research in the ACT has estimated to be 0.8 Eastern Grey Kangaroos per hectare for the Pinnacle Kangaroo Management Unit (see calculating the conservation density for how this estimate was arrived at). The size of The Pinnacle kangaroo population will be used by ACT Parks to help make informed management decisions. Fotpin Committee supports this approach - such as conducting kangaroo culls - where this is needed to protect the overall ecological health of the reserve.